Are you a cancer fighter? Do you have a sport you love and drive’s you every day? If yes, your heart, passion and will to survive is something we want to help facilitate. 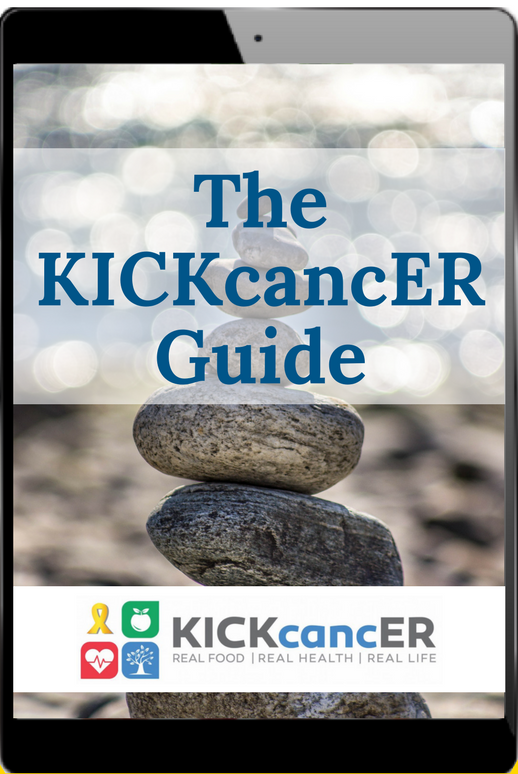 Tell us how KICKcancER can help take your dreams to the next level. "Mackenzie has been snowboarding since she learned to stand, not even a year old the first time she strapped on her first board in Lake Tahoe. She was trying to keep up with her 3 older siblings who are also competitive snowboarders, and collectively 11x USA National Champions. When Mackenzie was diagnosed with cancer, she was ripped away from her active life of snowboarding, skateboarding, surfing and just being a crazy, funny, silly 3 year old kid. At diagnosis, she had all cancer cells in her marrow...no normal cells. So, she went from being the most spunky toddler we had ever met to bed ridden and too weak to stand. A month or two into her treatment, the folks of Make a Wish Foundation asked us to discuss with Kenzie her wishes and dreams. The first thing she said to us, with nearly a whisper and too weak to stand due to the dexamethasone, chemo and cancer crippling her body, was 'I wanna go snowboarding'." "After 23 months of unemployment and barely hanging on to our home, Ava was diagnosed with stage 5 Bilateral Wilms on Father’s Day 2011. Ava lost her left kidney and part of her right and completed 6 months of chemo including 6 rounds of radiation to her partial remaining kidney. Ava was cancer free for 6 years, and then at her yearly oncology visit in January 2018, they found a spot on her partial remaining kidney. Once again, our family’s world was turned upside down. Ava and her sister, Emma, have been dancing for the past 7 years, and they have been dancing competitively together for the past 3. Dance was and continues to be an important and crucial part of Ava’s physical recovery from surgery, treatment and side effects. Dance has been a critical part of both Ava and Emma’s mental recovery, and it created an incredible, unbreakable bond between these two sisters. When Ava was diagnosed with a cancer relapse in January, it was one week before their first competition. Ava was heartbroken. She so badly wanted us to postpone her surgery to remove the tumor on her kidney but there was no way we could do that — we couldn’t give cancer any additional time to grow. After recovering from surgery and beginning treatment, Ava’s oncologist told her if she was feeling up to it, then she could compete in an upcoming competition. Sadly, the studio owner, who had agreed to honor a scholarship arrangement for Ava and Emma by the previous owner, no longer wanted to support them after learning of Ava’s relapse diagnosis and ended up kicking Ava and her sister off the team and out of the studio. Ava and Emma were devastated but Ava was not going to let this stop her. She was determined to dance, no matter what. Her older sister, Emma, stepped up and said, 'If Ava wants to compete, then she’ll compete. I’ll choreograph her a new solo and make her costume and she WILL compete'. And that’s exactly what these two girls did. Within 10 days, we found a competition that allowed Ava to be a late entry, Emma made a costume and choreographed a new piece, and Ava learned and competed “Game of Survival” as an Independent Dancer. Ava won 1st in her category, 1st overall and a 5 star elite score (highest score of the day). That was just the beginning. Since then, Ava and Emma continue to compete their solos and have choreographed and competed an incredible duet as independent entries and are currently in the process of choreographing additional duets and solos they want to compete. Wherever they go, there are countless people who approach Ava and tell her what an inspiration she is to all kids battling cancer or fighting through their own journey. Ava wants to give hope to others and encourage others to never give up and to follow your dreams, as best you can. Ava has bravely battled cancer a second time with determination unlike what I’ve ever seen. Her oncologist and entire oncology team are in awe of her ability to push through this extremely harsh treatment protocol and continue to practice and compete at such a high level. At these competitions, she is constantly approached by other dancers and told of how much she inspires them. Ava wants to continue to inspire other kids battling cancer to continue pursuing their passion to the best of their ability through treatment. Dance means the world to Ava — to both girls. Dance is the reason Ava shows no significant deformation in her lower back muscles from her radiation treatments. It gives her something to take her away from all the crap she’s going through. It truly is an escape for both girls. Unfortunately, dance is very expensive and the combination of 23 months of unemployment and 2 cancer diagnoses’ has almost bankrupted us. There is no money available to cover dance expenses. With the studio owners pulling the girls' scholarship agreement, we are unable to finance dance at the level Ava and Emma need to be. There is a studio that had allowed the girls to take classes until the end of June, but at this point, we are at a crossroad. We have to find a way to keep these girls dancing and allow them to follow their dreams. And we cannot let cancer rip away the dreams these two girls have built together. As you know, cancer doesn’t just impact the cancer patient, it impacts the entire family, especially siblings. Ava and Emma desperately want to continue dance training and compete on a team or as independents. But, this will only be possible with the generosity and help of an organization like KICKcancER. We are including the costs associated with competing on the dance team, including monthly class fees, costumes, competition entry fees and travel expenses. We would be extremely grateful for any assistance towards these expenses to support their dreams and take them to the next level in the world of dance."